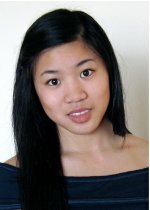 Congratulations to Katrina Hui, a high school science intern in Pacific Northwest National Laboratory's Computational Sciences & Mathematics Division, on being named a semi-finalist in the Intel Science Talent Search. Andrey Sushko, another PNNL high school intern, received second place honors. The competition offers high school seniors the chance to present original research in mathematics, science, and engineering. Hui's project used mathematical modeling to study sickle-cell anemia by simulating the behavior of red blood cells. Hui is working at PNNL through the PNNL Science and Engineering Education's work-based learning program, which provides research-based experience for senior-level high school students interested in pursuing careers in science, technology, engineering, or mathematics. Hui's PNNL mentors are computational mathematics researchers Guang Lin and Wenxiao Pan.